Every now and then, my upper eyelid starts to twitch at random times. The worst is when I am talking to someone and I am positive that they can see the tiny movements of my eyelid quivering. It usually does not last very long, but it is a nuisance and I am happy when it stops. There are various triggers that can cause eyelid twitching, which is an involuntary spasm of the muscles of the lower or upper eyelid. Some eye conditions with neurological origins result in eye twitching, including blepharospasm and hemifacial spasm. However, most eyelid twitching is common and will resolve on its own. Our bodies react in different ways to stress and we can usually recognize when we need to lighten our load. Find ways to relax and de-stress, whether it be spending time with friends or family, taking a walk, having some alone time to meditate, or enjoying a favorite hobby. Getting adequate sleep is vital to your physical health. Those precious hours are when your body heals and rejuvenates itself. Not all people need the same amount of sleep, but try to find the right amount for you. Put away your smartphone and limit how much TV you watch at night so that you can get a good night’s rest. If you get the gritty, uncomfortable feeling of dry eyes, this may be contributing to your twitching eyelids. At your next eye exam, ask Dr. Ashcraft about dry eye syndrome and see what can be done to moisturize your eyes. 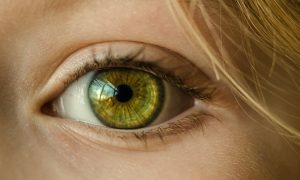 This condition may be connected to computer vision strain, contact lens usage, allergies, or a side effect of certain medications. The stimulants in coffee, tea, and caffeinated sodas may be contributing to your overactive eyelid muscles. Take a break from these substances, as well as alcohol, and see if your twitching subsides. Overuse of the eyes—especially from spending too much time on your computer or your smartphone—can lead to eye strain. It may feel like your eyes are tired and dry, or you may experience headaches. This eye strain may contribute to increased twitching. Hear what Dr. Matthew Palmer, O.D., says about the causes and cures for your twitches. If your eye twitching persists for more than a few weeks, give us a call! We will help you schedule an eye exam with Dr. Ashcraft to see what is going on.